Près de 60 personnes ont assisté à la réunion d'information qui a eu lieue ce mardi 29 mai, salle des Halles à La Crèche. C'est suite à une convention signée entre le CLIC du Haut Val de Sèvre, le CLIC du Bassin de vie Niortais, la Fédération des Aînés Ruraux et la Gendarmerie Nationale que cette réunion d'information a pu avoir lieu. 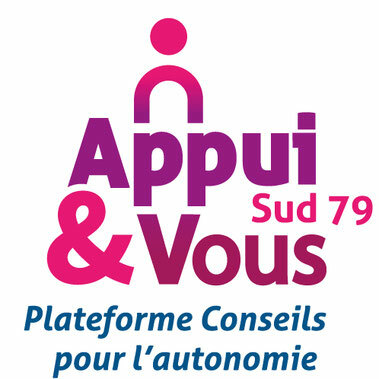 Cette action sera reconduite courant 2013 sur d'autres communes du territoire. Helpful information. Lucky me I discovered your web site by accident, and I'm surprised why this twist of fate did not came about earlier! I bookmarked it. Thank you for any other informative web site. Where else could I am getting that type of information written in such a perfect approach? I've a undertaking that I'm just now operating on, and I have been at the glance out for such information. I have been exploring for a little bit for any high-quality articles or blog posts on this kind of space . Exploring in Yahoo I finally stumbled upon this web site. Reading this information So i am glad to exhibit that I have an incredibly excellent uncanny feeling I found out exactly what I needed. I so much certainly will make certain to do not forget this web site and provides it a look on a continuing basis. My family always say that I am wasting my time here at net, but I know I am getting familiarity all the time by reading such good articles. A person essentially help to make severely articles I would state. That is the very first time I frequented your website page and so far? I surprised with the analysis you made to make this actual post amazing. Great job! Wow, fantastic blog format! How lengthy have you ever been blogging for? you make blogging glance easy. The entire glance of your web site is magnificent, let alone the content material! Currently it appears like Expression Engine is the preferred blogging platform out there right now. (from what I've read) Is that what you're using on your blog? I'm impressed, I must say. Seldom do I encounter a blog that's equally educative and interesting, and let me tell you, you've hit the nail on the head. The problem is something that too few folks are speaking intelligently about. Now i'm very happy I came across this during my hunt for something regarding this. Hi there! Someone in my Myspace group shared this site with us so I came to check it out. I'm definitely enjoying the information. I'm book-marking and will be tweeting this to my followers! Wonderful blog and terrific design and style.